In 2006, I was part of the team of lead practioners in Moving Image Education at Scottish Screen that introduced MIE to Scotland. 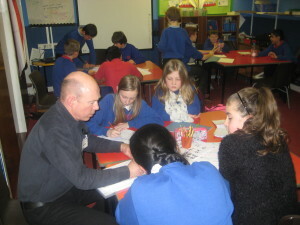 I have delivered CPD sessions to large groups of teachers for Highland and Moray Councils. I am one of only 30 CPD providers with Into Film in the UK. I am an expert and passionate about using film in the classroom. I design my sessions to be practical and enjoyable, providing lots of activities that anyone can use with small groups to begin to understand the language of film. Many schools and third sector organisations have contracted me to provide CPD for clients or trainers here is a list. I have provided filmmaking workshops for nursery children and senior citizens. Many of the groups that I have worked with have been disadvantaged or hard to reach youngsters. I can provide equipment and love to work with stories that participants want to tell. Many organisations have returned to me for a second production. Here is a list of satisfied customers.